Don't Miss The Rams' 'Sunday Funday' Clash With Cardiff! 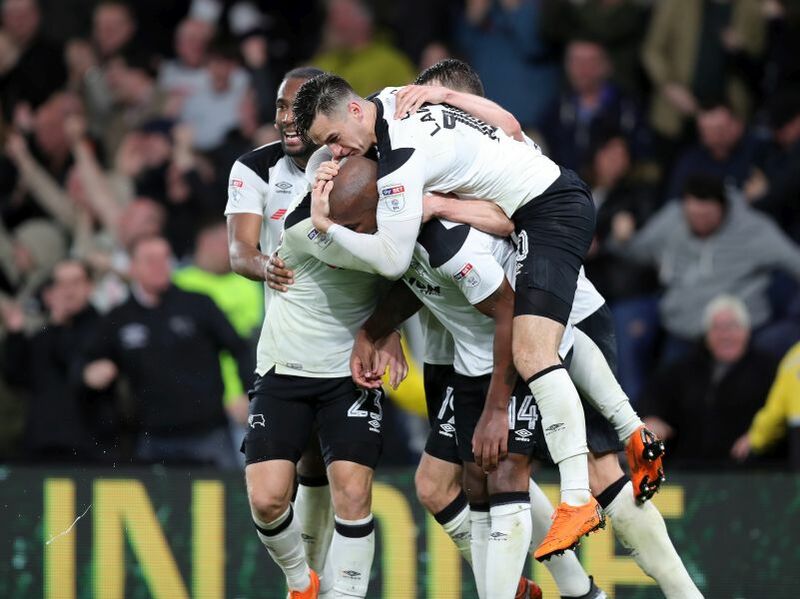 Derby County produced a sensational second-half comeback at Pride Park Stadium to beat Cardiff City 3-1 and move into the Sky Bet Championship play-off positions. 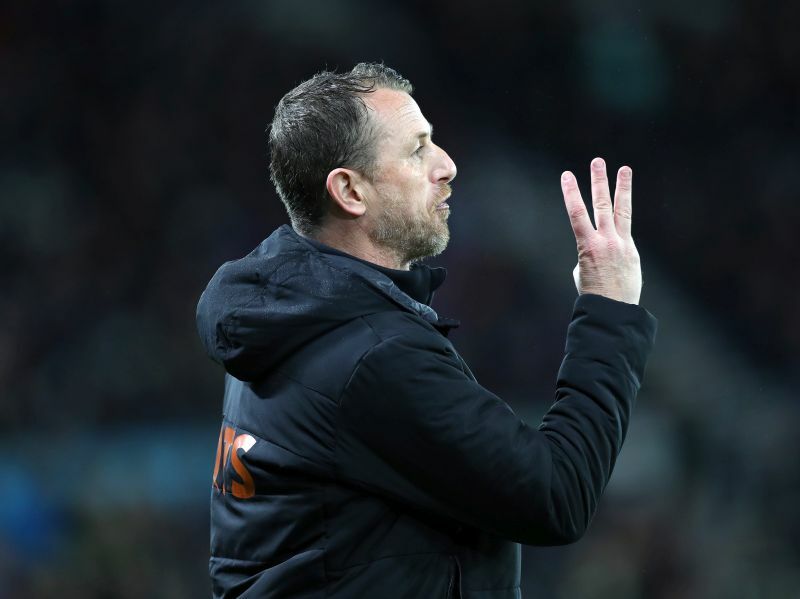 The Rams found themselves behind at the break courtesy of Callum Paterson’s volley, but Gary Rowett’s side were unstoppable after the restart. Cameron Jerome bagged a brace against his old club either side of Matej Vydra’s 20th league goal of the season. 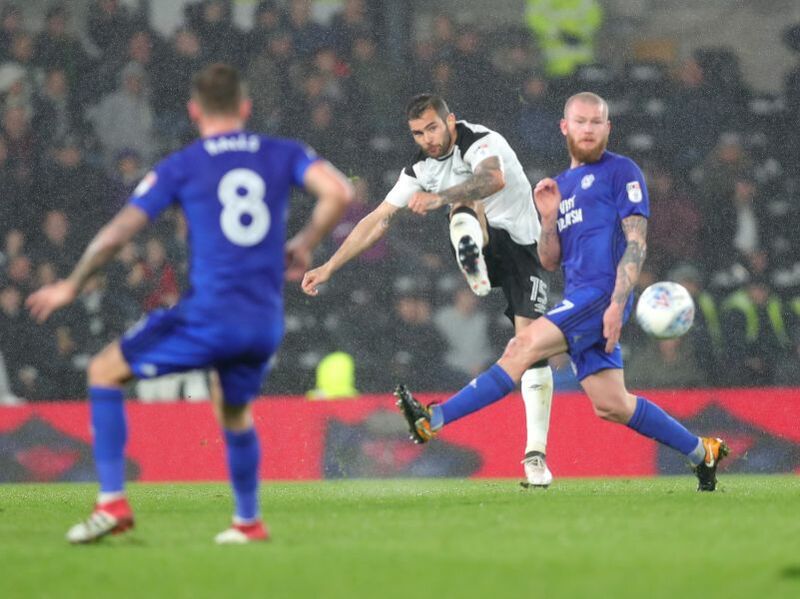 Bradley Johnson went close to opening the scoring from a set-piece against Middlesbrough at the weekend and it was the same story here after four minutes when he connected to Tom Lawrence’s delivery, but he directed his effort just wide. 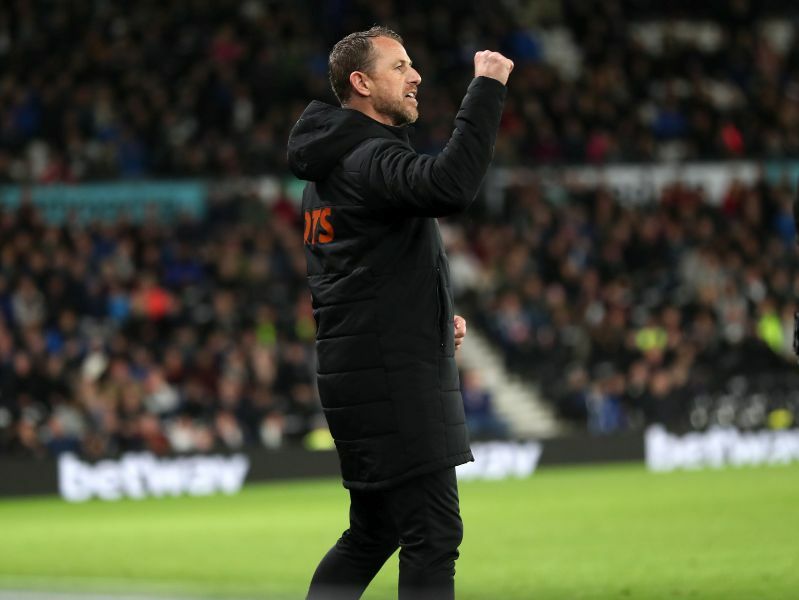 The Rams looked like a threat on the counter-attack, especially through Andreas Weimann who started on the right of the front-three. 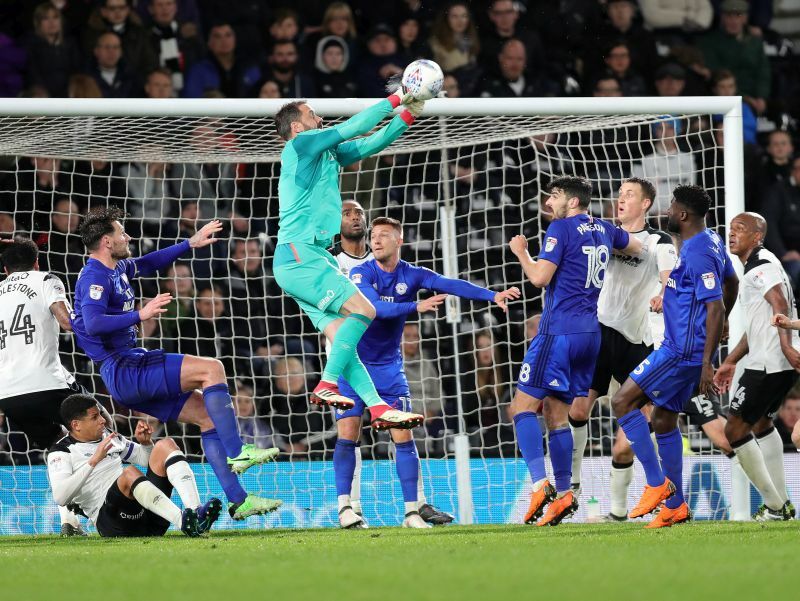 He broke away and fed Lawrence inside the penalty area who took a touch away from Sol Bamba to make space, but Neil Etheridge produced an excellent save. It was the visitors that then went on to take the lead out of nothing. Joe Bennett switched play brilliantly and Paterson was there at the back post to volley home with 28 minutes gone. 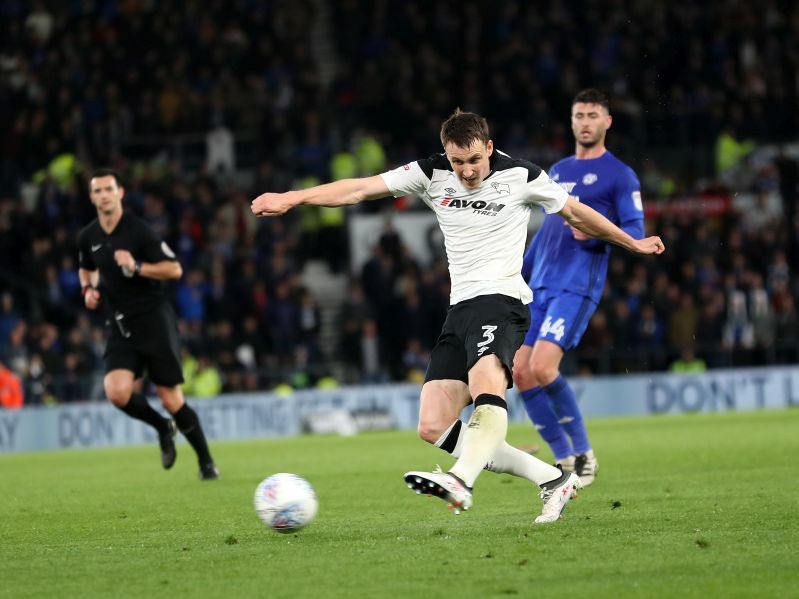 Another deep switch almost produced a second for Cardiff five minutes later, but Junior Hoilett’s header drifted inches wide with Gary Madine unable to make contact on the stretch. 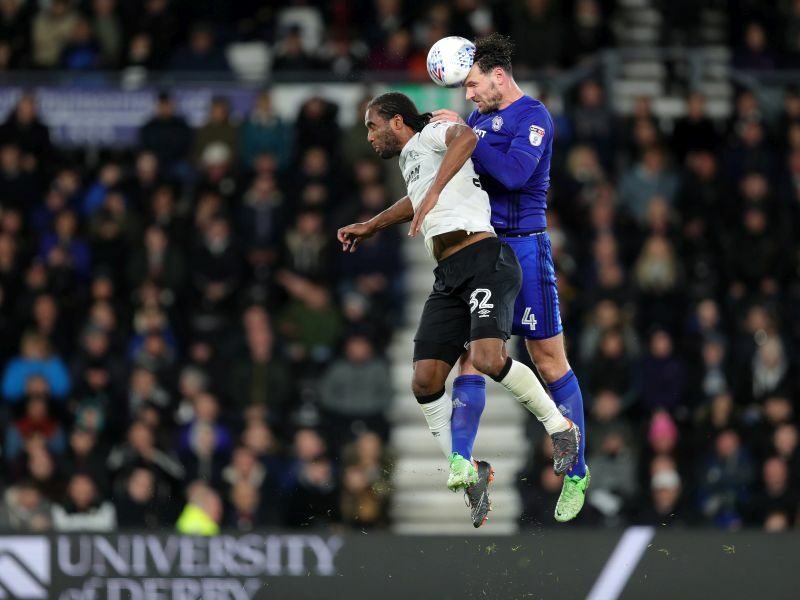 Derby’s best chance before the end of the half came through the lively figure of Weimann as he connected to Jerome’s flick-on, but as with Johnson’s effort at the start of the half, it missed the target. 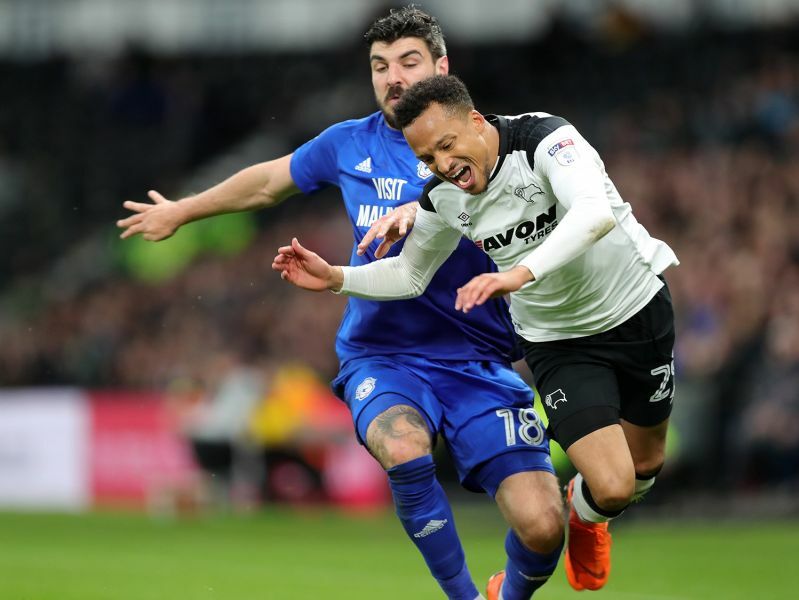 For all the possession that Derby had after the break, they struggled to fashion any clear-cut chances and Cardiff went close on 65 minutes, but Madine poked his effort agonisingly past the post. 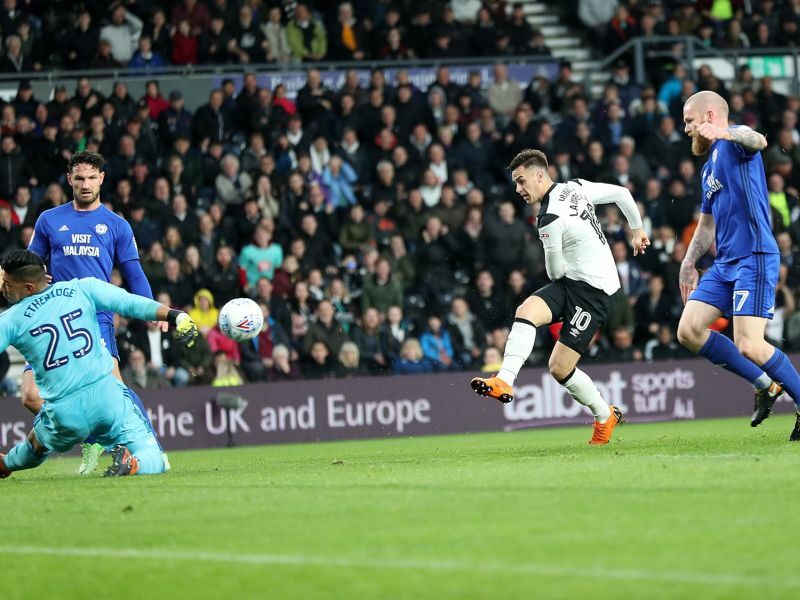 That miss proved to be crucial as the Rams deservedly got themselves level moments later. 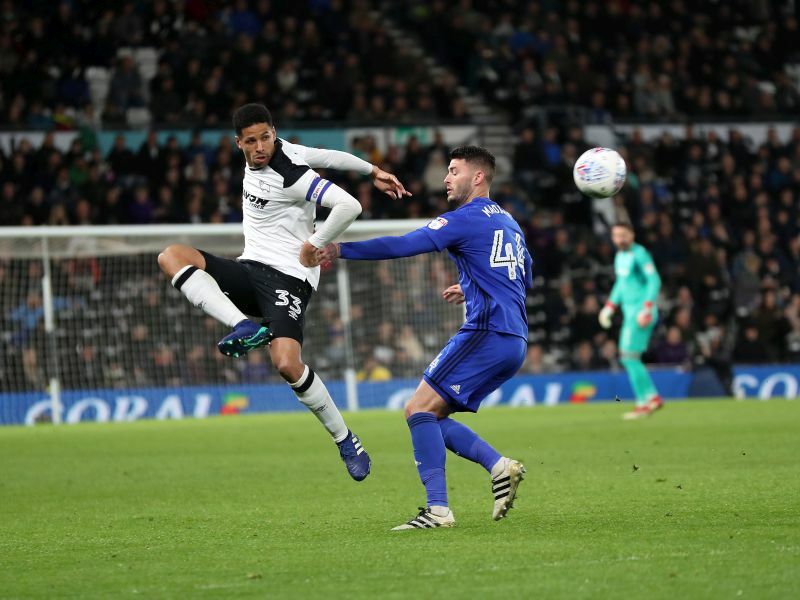 Richard Keogh’s flick-on was crucial and Jerome pounced to roll the ball past Etheridge to send the South Stand into raptures. 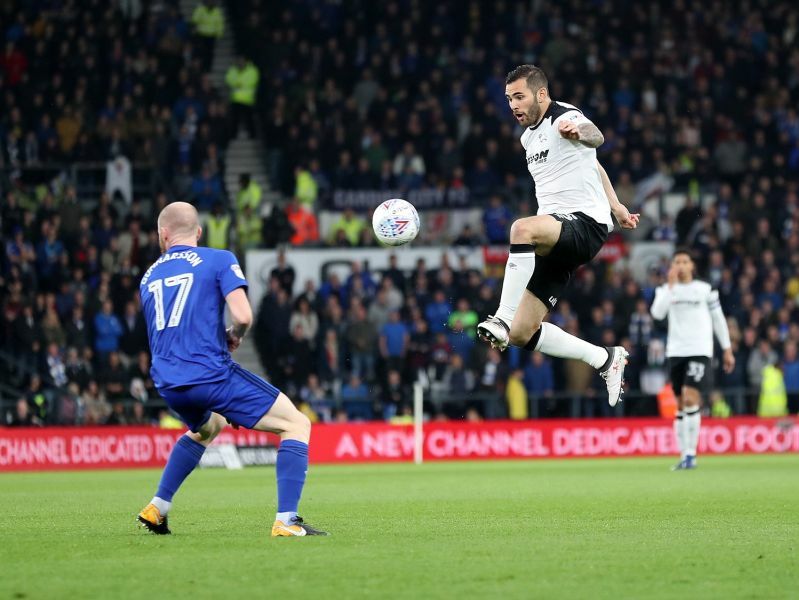 With eight minutes to play, Derby took a sensational lead through the talismanic figure of Vydra, who rose from the bench to stun Cardiff. 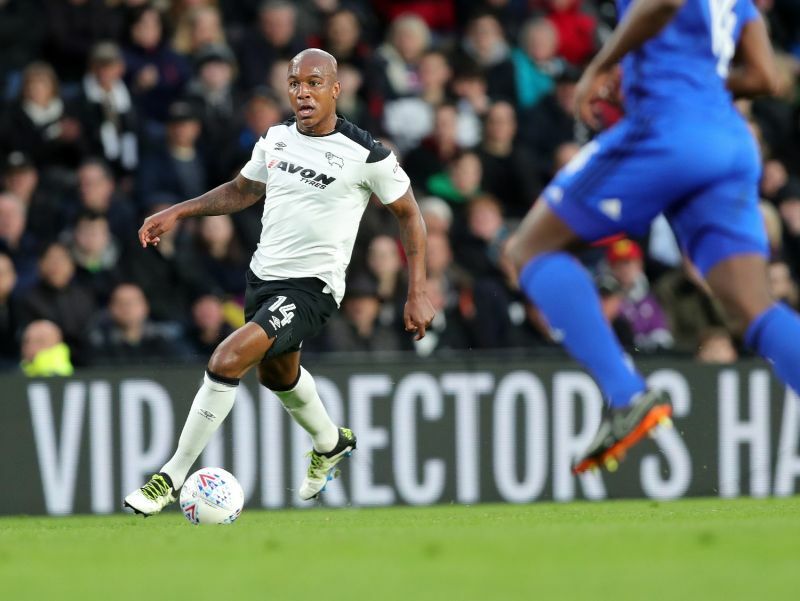 Andre Wisdom superbly won the ball back inside the area from Yanic Wildschut, and his pull-back was perform for the Czech forward to rifle home for his landmark goal. 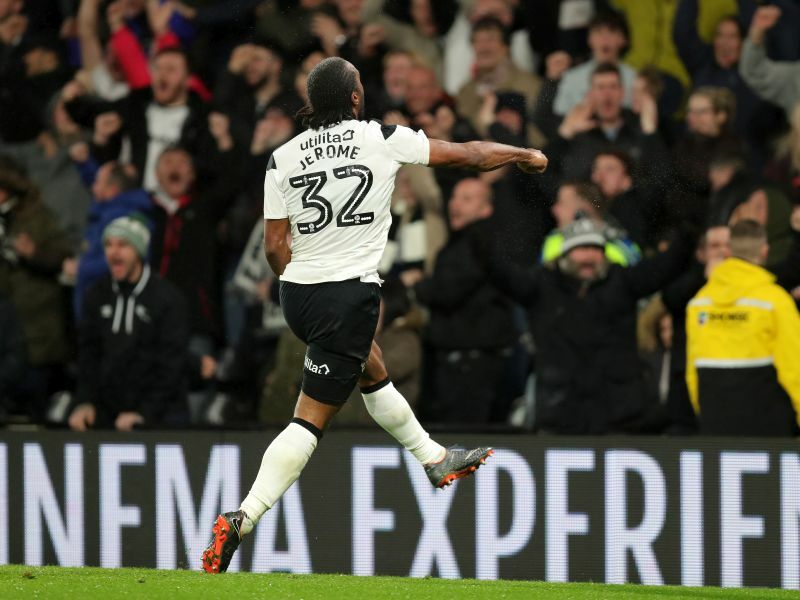 It got even better for Derby in the final minute of normal time, as Jerome ran clear to make it three. 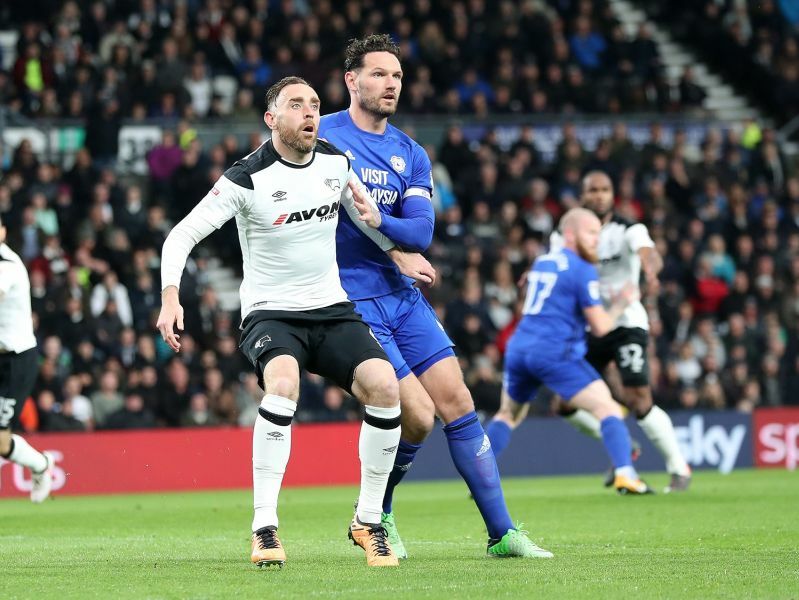 Derby County: Carson; Keogh, Davies, Forsyth; Wisdom, Huddlestone, Johnson, Olsson (Vydra, 60’); Lawrence (Hanson, 87’), Jerome, Weimann (Pearce, 87’). Substitutes not used: Roos, Palmer, Nugent, Ledley. 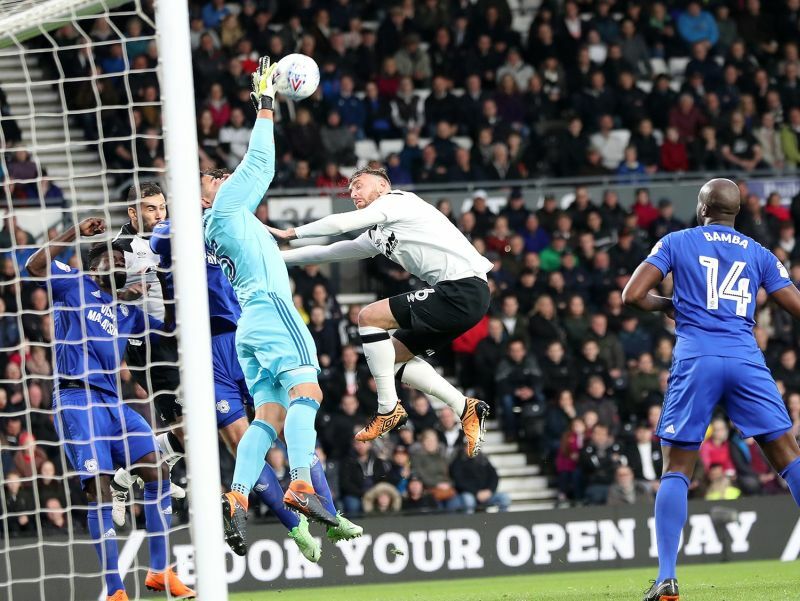 Cardiff City: Etheridge; Ecuele Manga, Morrison, Bamba; Paterson, Gunnarsson, Ralls, Bennett; Hoilett (Pilkington, 74’), Madine (Zohore, 67’), Ward (Wildschut, 74’). Substitutes not used: Murphy, Peltier, Grujic, Mendez-Laing. 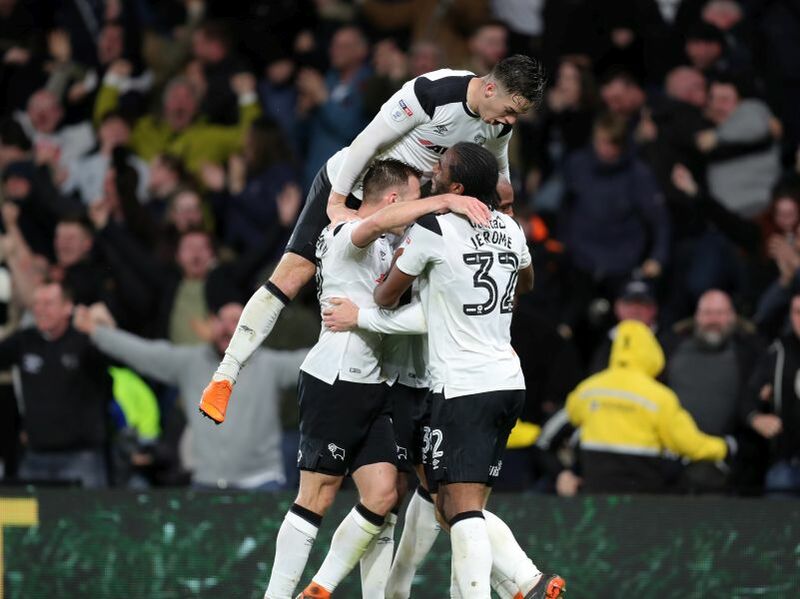 Vydra’s impact from the substitutes bench was absolutely superb, and the finish he produced with eight minutes left was unstoppable. 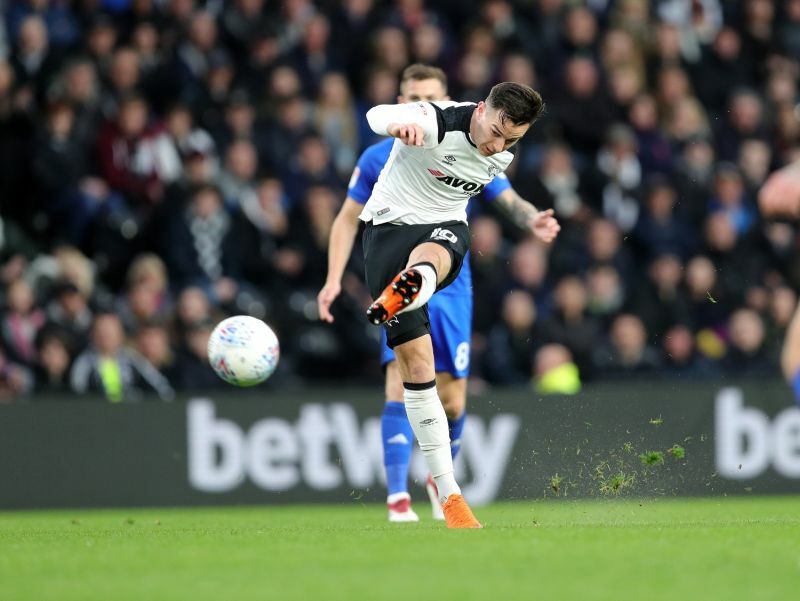 Wisdom’s work in winning the ball back was brilliant, and he teed up the Derby No.23 who put his side in-front and sent Pride Park crazy. 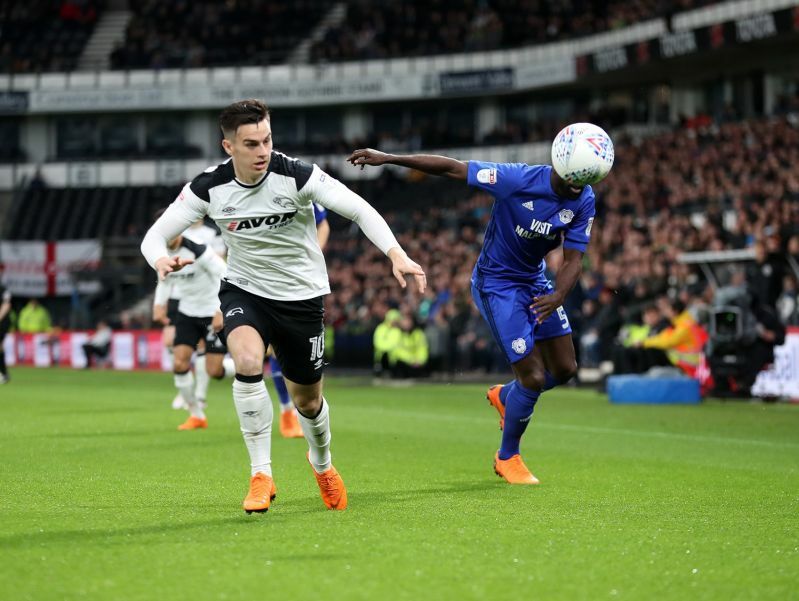 There were exceptional performances all over the pitch, especially in the second half, but Jerome stole the show after the break. Both goals were born out of the sheer desire to reach the ball first ahead of his marker and once he found space, the striker was clinical. 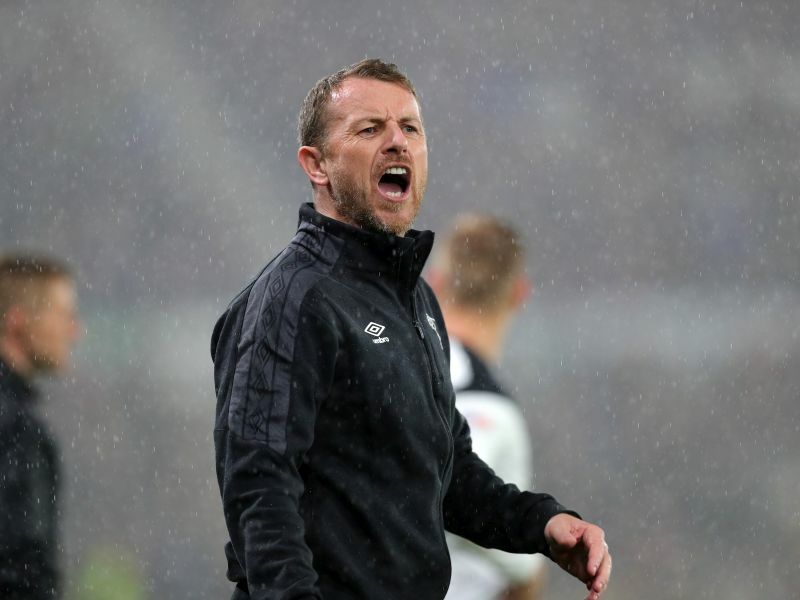 Derby are straight back in action with a huge game at Villa Park against Aston Villa on Saturday, before the final league game of the season at home to Barnsley on the following Sunday.